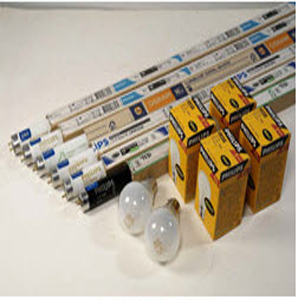 We offer various standard lamps from Philips/GE/Macbeth/verivide for color matching in textiles like fibre/yarn/fabric/garment and any kind of garment accessories.These lamps meet CIE specifications and offer lux levels and CRI index as per standards. D75: A bluish colored light source originally used for grading cotton & their evaluation applications. It offers 7500K. D65: A light bluish colored light source used in color matching applications of paints,textiles,raw inks and other manufactured products. It offers 6500K. D50: A near white light source used in the evaluation of graphic arts and imaging applications. It offers 5000K. Ultra violet: Light energy not normally visible to human eye, but which is present in natural daylight. Cool White Fluorescent (CWF) - A wide band single phosphor fluorescent source commonly used in commercial lighting applications . It is characterized by emitting high amounts of green energy, with a color temperature of approximately 4100K. It has a CRI or approximately 62. 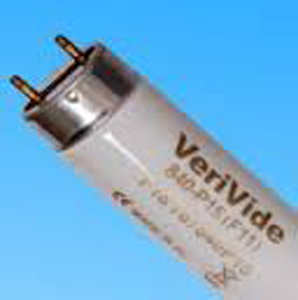 TL84 - A narrow band tri-phosphor fluorescent source originally designed for commercial lighting applications . It is characterized by emitting high amounts of green energy, with a color temperature of approximately 4100K. It has a CRI of approximately 86. 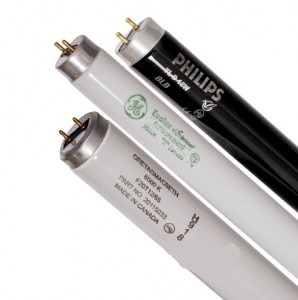 TL830 - A narrow band tri-phosphor fluorescent source originally designed for commercial lighting applications . It is characterized by emitting high amounts of yellowish red energy, with a color temperature of approximately 3000K. It has a CRI of approximately 86. Ultralume 30 (U30 or 30U) - A narrow band tri-phosphor fluorescent source originally designed for commercial lighting applications . It is characterized by emitting high amounts of yellowish red energy with a color temperature of approximately 3000K. It has a CRI of approximately 85. Ultralume 35 (U35 or 35U) - A narrow band tri-phosphor fluorescent source originally designed for commercial lighting applications . It is characterized by emitting high amounts of reddish yellow energy with a color temperature of approximately 3500K. It has a CRI of approximately 85. Horizon – Reddish in color source described in older specification and used for color matching applications.It offers 2300K. [Our Instrument comes with Calibration certificate traceable to NPL / NABL, Warranty certificate and detailed user manual].